Now Open 7 Days a Week! Celebrating 26 Years in Business! Pet grooming Kingwood TX can make your dog healthier, better looking, and happier. Just as dogs need to have a continuous supply of clean water and daily food, they need grooming. While most pet owners treat their dog more like a family member than a pet, many fail to realize that grooming is basic to a dog’s well-being. When the benefits of grooming are understood by the owner, it’s not unusual for dogs to be scheduled for regular pet grooming Kingwood TX at Dog’s Day Inn Pet Resort. Whether your dog adores being brushed or zealously tries to avoid it, there are numerous benefits. Every dog needs to be brushed regularly, and one reason is that the natural oils in the skin are then distributed to the dog’s coat. Brushing stimulates the dog’s circulation and promotes healthier skin, too. Brushing also removes dandruff and dirt. Get weary of using the lint brush to remove dog hair? When regular brushing is part of your pet grooming Kingwood TX, there is less fur to deal with on clothing and furniture because excess fur is removed. Even a reluctant dog can appreciate the one-on-one time spent with you, while he’s being brushed. Then you can enjoy how striking your dog looks, with his shiny, just-brushed coat. Many people are meticulous about scheduling nail care pet grooming Kingwood TX. Trimming a dog’s nails can be a huge challenge. It’s normal for a dog to run and hide at the sight of clippers. More than one dog owner has purchased a muzzle, to prevent being bitten while handling the task of dog nail care at home. The difficulty many have besides their dog’s vehement reluctance to be groomed is that it can be easy to accidentally cut the nails too far, causing bleeding. When going too far down the nail, you can cut the quick, and the resulting blood flow can sometimes be tough to stop. The pain can cause the dog to make a big enough effort to escape, which can mean he is tracking blood all over your home. If your dog hasn’t escaped, you can stop the bleeding a variety of ways. A mix of cornstarch and flour can do the trick. 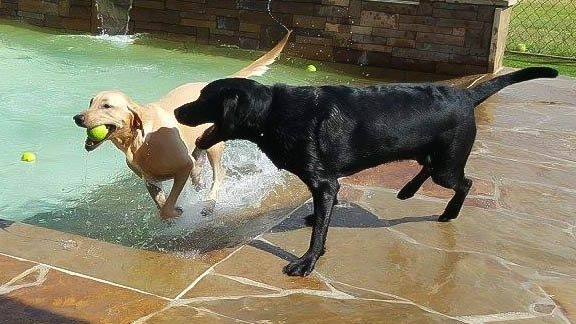 It’s easier to simply bring your dog to our professionals at Dog’s Day Inn Pet Resort for pet grooming Kingwood TX. Once a dog’s nails touch the ground and even continue to grow, the dog can begin experiencing pain when walking. Regular trimming will help a dog with balance and allow him to maintain agility as he runs and walks. The hair in a dog’s paw pads also need cleaning and trimming. 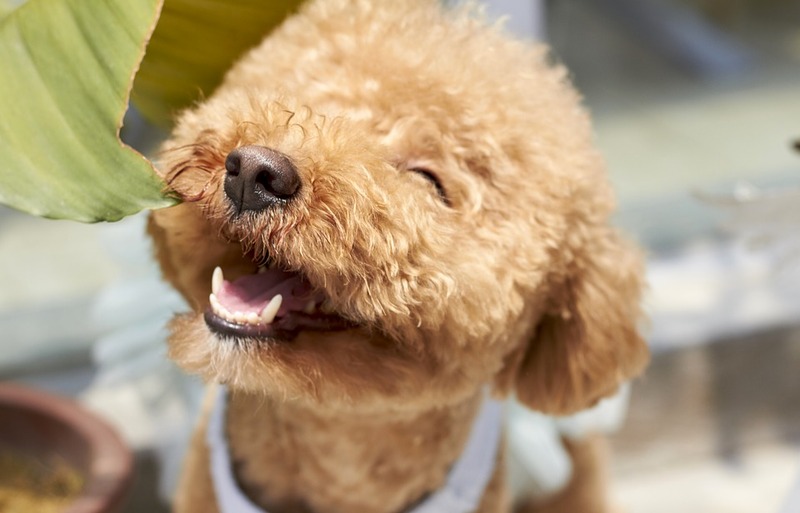 Poodles and other breeds have hair continuously growing, which makes it even more important to keep the hair trimmed. Knotting of the hair can quickly make walking painful. Debris of all varieties can get caught in the paws, including burrs, feces, gravel, tar, thorns, and dirt. To keep your dog’s paws in good condition and prevent discomfort, bring him to Dog’s Day Inn Pet Resort for pet grooming Kingwood TX. A dog’s ears can become infected if the hair isn’t trimmed and the ears aren’t cleaned. Teeth brushing services can ensure that your dog’s gums and teeth are healthy. Washing can help with such problems as dry patches and infestations of ticks and fleas. Your dog will be happier and more content when he is maintained with care. A healthy and well-groomed canine feels better, behaves in a friendlier manner, and radiates more positive energy. Schedule some TLC for your dog at Dog’s Day Inn Pet Resort by contacting us today for pet grooming Kingwood TX. We have four great locations in the Houston area! Each location will vary on rates and service.